Biology professor Douglas Chivers has been elected as a Fellow of the Animal Behavior Society (ABS)—the most prestigious honour bestowed by the organization. This recognizes Chivers' long-term accomplishments and distinguished contributions related to animal behaviour research. Over the years, Chivers has firmly established himself as a pioneer in the area of predator recognition. 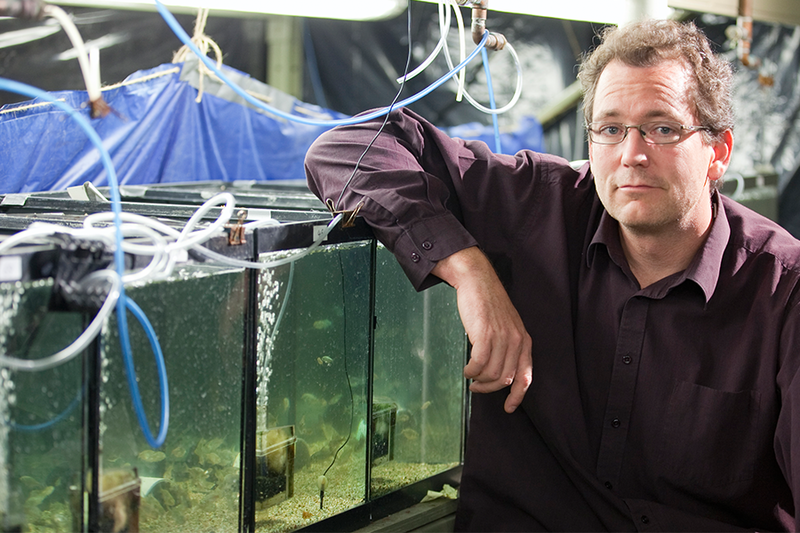 His research has shown that prey use information about known predators to make ‘educated guesses' about the predatory nature of other unknown animals. He has also developed an innovative research program aimed at understanding how anthropogenic changes influence the risk assessment. For example, Chivers has conducted novel research on how issues such as boat sound pollution, UV radiation, ocean acidification, and elevated sea temperatures effect the behaviour of various aquatic animals. Chivers has published nearly 250 peer-reviewed papers and book chapters and, according to Google Scholar, his work has been cited more than 10,000 times for an impressive h-index of 57. He has also been involved in training a large number of researchers in animal behaviour, having supervised three post-doctoral fellows, 14 PhD students and 21 MSc students—one of which, Maud Ferrari, was also awarded the ABS's Outstanding New Investigator Award.